I decided to have a weekday lunch with my friend at Tiong Bahru. 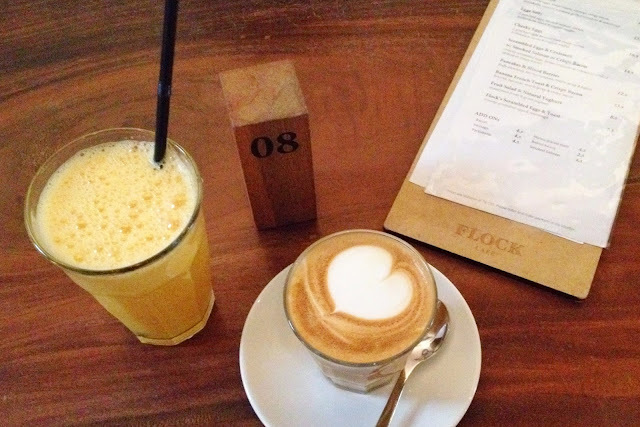 There were several cafe selections available and we settled on trying Flock Cafe. 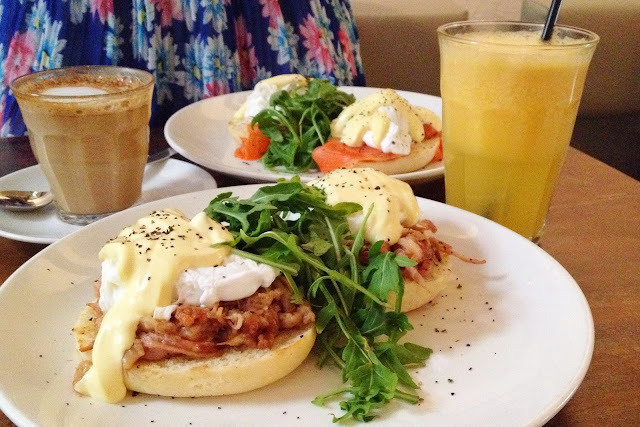 We were looking for brunch menu and most cafes did not serve brunch menu for lunch on weekdays. From Tiong Bahru MRT, you had to walk for around 10 minutes to reach Flock Cafe. It was located in the area where some other cafes like Open Door Policy, PoTeaTo, and Plain Vanilla are located at. I did not really like the ambience of the cafe. Outdoor there were two tables just by the entrance, and once you entered the shop you could see the bar and cake display which took up most of the space, and some tables beside the bar. Most tables were located at the back seating area which was very dark. Almost no sunlight were present and there were no lighting either. Sadly my friend and I were seated at the back. If only this place was well lit, it would look and feel much better. Menu selection at Flock Cafe was not extensive. There were some breakfast menu, sandwich, and pasta. Drinks were limited to coffee, chocolate, and some fruit juices. My friend ordered the Eggs Sally ($15.9) and I ordered the Cheeky Eggs ($16.9). Flock Cafe is kind of a half self serve cafe as you need to order at the counter and help yourself with the iced water. 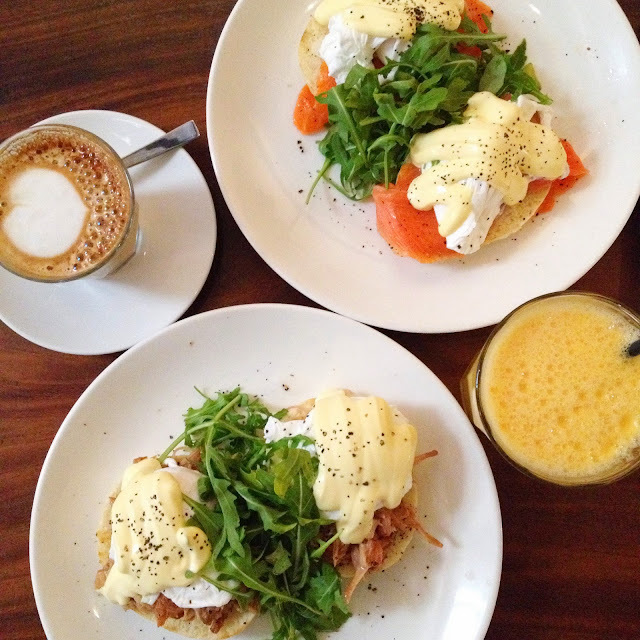 Both dishes were basically eggs benedict, with smoked salmon in Eggs Sally and braised pork cheek in Cheeky Eggs. The english muffin were nice, and the eggs were perfectly poached. It was hard to find a perfectly poached egg that has no vinegar taste at all, and Flock Cafe definitely nailed it. Although I thought the hollandaise was too thick and creamy, the taste was pretty good. My friend's smoked salmon was nice and fresh, and my braised pork cheek was the bomb! It was succulent and perfectly seasoned. My friend ordered the Latte ($6) and I ordered the Freshly Squeezed Orange Juice ($5.5). Both drinks were okay, nothing too special to brag about. Overall, our lunch experience at Flock Cafe was pleasant. The food was delicious and I would definitely return for more. Perhaps next time I would try sitting at the front area or outdoor where the lighting is nicer.